SWALLOWS AGENCY are delighed to offer a charming detached 18th century house which has been modernised and extended in recent years. 4 reception rooms, kitchen, utility, cloakroom, 6 bedrooms and 3 bathrooms. Oil heating. Gardens, garage and parking. SWALLOWS AGENCY are delighted to offer a stunning former mill house in a quiet country setting with a heated swimming pool and far reaching views. Reception room, kitchen/dining room, cloak/utility room, 4 bedrooms, 2 bathrooms and ensuite shower room. SWALLOWS AGENCY are pleased to offer a large modern 4/5 bedroom house in a quiet location in the pretty village of Sutton Veny with 3 reception rooms and a study, a large conservatory, 5 bedrooms and 3 bathrooms. Double garage and a large garden. Available 7th May. SWALLOWS AGENCY are delighted to offer this detached Period cottage with accommodation comprising kitchen, large hallway/study area, cloakroom/shower, 2 reception rooms, 2 bedrooms each with a spiral staircase to an additional attic room each. Family bathroom. Garden with views across countryside. **REDUCED TENANTS FEES**SWALLOWS AGENCY are delighted to offer this fully furnished 3 bedroom cottage arranged over 3 floors with Kitchen, sitting room with woodburner, dining area and conservatory. Upstairs there are 3 bedrooms, 1 with ensuite and the family bathroom. Garden. SWALLOWS AGENCY are delighted to present a single storey barn conversion set in the grounds of Manor Farm with a large garden and lovely rural outlook. With 2 double bedrooms and a further attic room, bathroom, sitting room, large kitchen/diner. Available mid August. SWALLOW AGENCY are delighted to offer a detached stone cottage in the grounds of a larger house with views over open countryside. Entrance porch, well fitted kitchen, sitting room with woodburner. 2 double bedrooms and a bathroom with shower over bath. 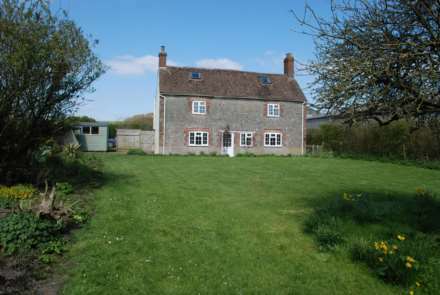 SWALLOWS AGENCY are delighted to offer a well presented 2 bedroom cottage with Period features. Fitted kitchen/dining room with integral appliances, sitting room with wood burner, 2 double bedrooms and bathroom. Pets considered. SWALLOWS AGENCY are delighted to offer a 2 bedroom Coach House in a central location. Kitchen and sitting room downstairs with 2 double bedrooms and the bathroom with shower over the bath upstairs. Small courtyard to front. Sorry no pets.